Field scientific research is a basis for agricultural development and water management and limitation of desertification. In cooperation with the French Organization for Scientific Promotion and Exchange between France and the Middle East, the Tunisian Association of Digital Geographic Information ( T.A.D.G.I) and GeoSP. Experts and international specialists in the field of water, desertification agriculture, and Energy will take part in this symposium. The Euro Arab Union of Geometrics , Arabian Union For Surveying organize an international scientific symposium from 20 to 23 March 2019Turkey/Istanbul. 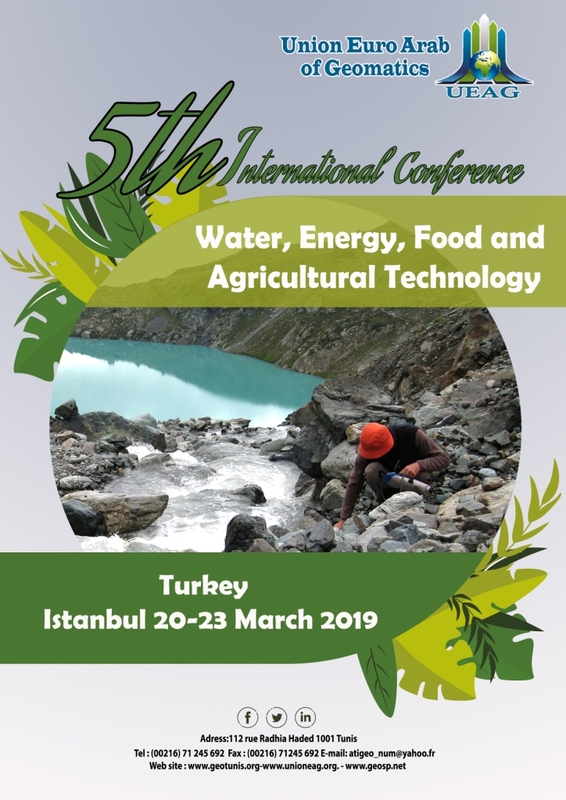 The symposium will hold many scientific activities .Scientific themes about water, desertification, agriculture technologies and energy will be discussed to fiend answers and solutions for such issues. The invitation is open for experts, researchers, students and public and private institution to participate with the presentation of their work paper on one of the main scientific themes or with simply being present at the event. Second: Building partnerships between experts, academics and research centers in the Arab world and Europe. – New and renewable energy. – Waste recycling in generating energy. – Arab integration in Energy field. – The future of new and renewable energy in the Arab countries. – The economics of the production of new and renewable energy. -The future of water security in the Arab world. – Transboundary water and its problems. – Wastewater Treatment (gray) “Industrial Wastewater and sewage water”. – Ways of developing Arab water resources. – Economics of extraction and water usage. – Arab food security system (production, consumption, trade per capita). sugar, meat, grain and legumes). – Intra-Arab trade in the field of food commodities. – Arab-Arab trade and its impact on reducing the food gap. – Arab integration strategies in the field of food security. – Land reclamation projects and the exploitation of the available land. – Horizontal and vertical expansion. – The role of the industrialization of agriculture and food preservation. – Concentrating on the livestock and poultry. – Agricultural Extension and its role in rural development. – The impact of climatic and environmental changes on the future of the food security. – The impact of climate change on water resources availability. – Climate Change and the future of energy in world . 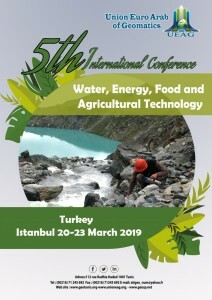 Researchers, scientists, experts and students interested in water and agricultural sectors working or studying in institutions, research centers, organizations or associations are welcome to participate in the international symposium on water and desertification with a scientific presentation, a field work study … or with simply being present at the event.